The level of self-confidence an individual has plays a large role in how	one accepts hair loss. Many patients experience great anxiety or loss	of self-esteem when faced with hairloss. It is no wonder then that in	our youth-oriented society, hair transplant procedures to combat alopecia,	the medical term for baldness, have gained in popularity among the approximately	sixty to seventy percent of men and the small percentage of women who	experience baldness of one degree of another. Beginning hair transplantation	before one is completely bald is an excellent idea. To many Gulf Coast residents, a full head of hair represents attractiveness	and desirability both personally and professionally. For this reason,	it is vital to understand what effects a hair restoration procedure can	have on your daily interactions with people and in all other aspects of	your life. Hair Restoration should be unnoticeable to all but those you	tell. 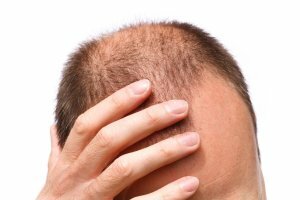 The facts are that approximately 50 million men and approximately	30 million women, suffer from male/female pattern baldness or thinning	hair. Many potential patients shy-away from (or are not candidates for)	the traditional “strip method” of hair replacement because	of the slow recovery time, the loss of feeling at the incision site, the	tiny linear scar on the back of the head, or the amount of post-operative	pain involved. The current procedure for treating baldness is a highly successful surgery	and involves removing hair follicles from areas of well endowed, genetically	predetermined hair-bearing scalp to areas of hair loss. Some patients	with preexisting medical or psychological conditions may not be candidates	for this procedure, and these conditions may make it inadvisable for them	to complete the surgery and its multiple stages. However, those patients who experience the condition of male pattern baldness	(the M-shaped recession of the hairline commonly found in males), or baldness	resulting from accidents, operations, burns, radiation treatment, infection,	or even those candidates who have lost their eyebrows, are good candidates	for this procedure, which is completed to improve appearance. In instances	such as those listed above, your insurance carrier may cover the cost. To determine whether or not you are covered in these instances, you will	need to contact your insurance agent. Patients should realize early on that the full head of thick hair which	was present before the balding process will not reappear as a result of	this procedure. Also, the patient must realize that transplanted or relocated	hair may fall out initially, only to grow back in two to three months. With proper hairstyle and grooming techniques, a patient can achieve an	appearance close to that of full hair growth. It is not possible to gain more hair through surgery. The hair transplants	of a donor, rather than the individual patient, would likely be rejected	by the body’s protective mechanism. At present, there is no known	method for overcoming rejection. After much research, we have chosen to offer the Follicular Unit Extraction	(FUE) method utilizing the NeoGraft™ Automated Hair Transplantation	system. The FUE method of hair transplantation removes individual hair	follicles from the scalp in their naturally occurring groupings of about	1-4 hairs and are then placed in the areas of the scalp where balding	has occurred. The NeoGraft™ system is the first and only FDA cleared follicular	unit harvesting and implantation system. The NeoGraft™ system delivers	automation of the FUE technique, the most advanced technique in the hair	transplant industry. This revolutionary system uses pneumatic controls to precisely extract	complete individual hair follicles which can be immediately transplanted	to the selected areas of the scalp. The NeoGraft™ automated hair	transplantation system is the only complete harvesting system on the market	and has the only ‘NO TOUCH’ implantation technology. Hair Restoration with NeoGraft™ technology provides absolute exact	harvesting and placement, delivering repeatable results. With NeoGraft’s	technology each follicle is removed individually while the patient is	comfortable. A natural looking head of hair is created with this minimally-invasive	procedure. Hair loss can be a very emotional part of the natural aging process, and	seeking ways to curb this process used to be a challenge. NeoGraft’s	advanced technology offers a discrete solution to hair loss, allowing	patients to achieve natural looking results with no linear scar, minimal	downtime and a shorter recovery period. Hair restoration with the NeoGraft™	procedure is unnoticeable, making it your secret to tell. Superior Results – More natural looking hair, short or long for both	men and women. Advanced Technology – Automated technology, least invasive procedure	for hair transplantation. Gentle – Little to no discomfort. No scalpel incision, no staples,	no linear scar. The NeoGraft™ Automated FUE is also a useful procedure to fix visible	linear scars from previous “strip” surgeries. FUE can be used	to ‘fill in’ or camouflage those old scars by transplanting	new follicles into the area. During the consultation, a medical and family history and examination will	be performed pertinent to your hair loss pattern. Recommendations will	be made that include the recommendations for grooming techniques, camouflage	techniques, the use of newer medications available, and finally, your	candidacy for alternative surgical procedures. It may be necessary to trim a small amount of hair prior to surgery; however,	postoperative, this area will become inconspicuous. The surgery may be done under “twilight” anesthesia on a special	operating table that allows a patient to sit up during the entire procedure. For Juri-flap candidates, one of the operative stages is done under general	anesthesia. Complications, such as bleeding and infection, are possible,	but extremely rare. With proper sedation and anesthesia, today’s transplant	procedure is virtually pain-free. The transplantation may involve a widely and successfully used follicular	unit technique. By the use of these additional one to four follicle grafts,	we can refine the hairline more naturally than the traditional circular	graft plugs. The grafts are taken from the hair-bearing areas of the scalp	(usually from the back or sides). The grafts are placed in the balding	areas. The donor grafts are meticulously prepared, and then inserted with	great care into the spaces at the recipient site. The grafts are spaced far enough apart so that nourishment from the surrounding	blood vessels is sufficient to insure the survival of the transplanted	graft. This is an important factor because if all the grafts were transplanted	at one time, they would probably die due to insufficient nourishment. Typically, a second sessions is planned over a 6 to 12 month period. Depending on the patient’s degree of baldness, it may take from one	to four surgeries to obtain the desired look, depending on the individual’s	situation, time between the sessions, and the number of transplants done	per session. The number of surgeries and the length of time in which to	complete them will be addressed in your personal consultation with the	surgeon prior to surgery. The normal healing process after a FUE procedure causes a essentially no	visible scarring since each follicular unit is removed individually. New	growth will usually cover any scar. As for the donor sites of the grafts,	they will shrink to the point of also being unnoticeable and are all hidden	by surround hair. Between surgeries, the surgeon and patient are able	to monitor the new growth and determine the success of the procedure. Any patient who has worn a hairpiece may continue to wear it after the	procedure until new hair growth occurs. Hair grows at the rate of approximately	one-half inch per month. Therefore, transplant patients will wait approximately	six months after surgery to comb the transplanted hair over the newly	transplanted areas. Careful hair styling and grooming are essential to achieve the optimal	effects of this punch graft transplantation procedure. The results of	this particular procedure should last a lifetime. Other procedures exist, also completed on multiple stages, which can be	used in relation to hair transplantation and may be suggested in consultation. In one procedure, called scalp reduction, a serial excision of the scalp	is made, which brings together the front of the balding area with the	back of the balding area to join the hair-bearing areas of the scalp. This is an excellent adjunct to hair transplantation because it allows	the surgeon to concentrate on putting the plugs in the front of the hairline	and does not have to spread them out too thinly all over the top of the	head. Patients with a U-shaped balding pattern are good candidates for	this procedure. This procedure can be done three to five times, spaced two to three months	apart. After each reduction, the scalp skin tends to stretch and loosen,	requiring more bald scalp to be removed. Finally, the hairline is brought	close enough together so that normal grooming techniques cover the midline	scar and provide hair cover to the top of the head. Some patients may	be benefited by the placement of scalp expanders, which will allow the	bald scalp to be reduced in a lesser number of sessions. This technique,	despite popular misconception, does not move the ears progressively higher	on the scalp, nor does it over the lower portion of the hair line above the ears. Other exciting recent technological advances now allow surgeons to advance	the hairline and remove the balding portion of the scalp in as little	as three steps performed within a six week period of time instead of several	months to two years for multiple transplantations. As such, I may suggest a procedure called the Juri-flap replacement, that	involves the placement of a temporal occipital (side and back parts of	the scalp) scalp flap that has your own thick hair density of the sides	moved to the balding areas of the scalp. This is best for frontal hairline	balding or hair loss. This allows for the massive transfer of genetically	determined permanent hair to be cosmetically deficient areas. This procedure	can be completed when baldness results from either hereditary factors	or injury. The procedure requires careful thought in planning the hairline so that	it appears natural. The ultimate result in terms of density of the frontal	hairline is a thicker, denser amount of hair compared to hair transplant. Other factors that can determine possible Juri-flap candidates are the	pattern of the baldness, the specific anatomic features of the patient,	and other particular variations that may correspond to the patient’s	desires. Specifically, the Juri-flap can provide thicker hair quicker	than hair transplantation, but does require more extensive surgery. For those patients who have mildly thinning hair or want to enhance the	growth of hair before and after transplants, we offer a number of non-surgical	adjuncts including growth stimulating hair products by Hair Medica and	medical grade Platelet Rich Plasma treatment.